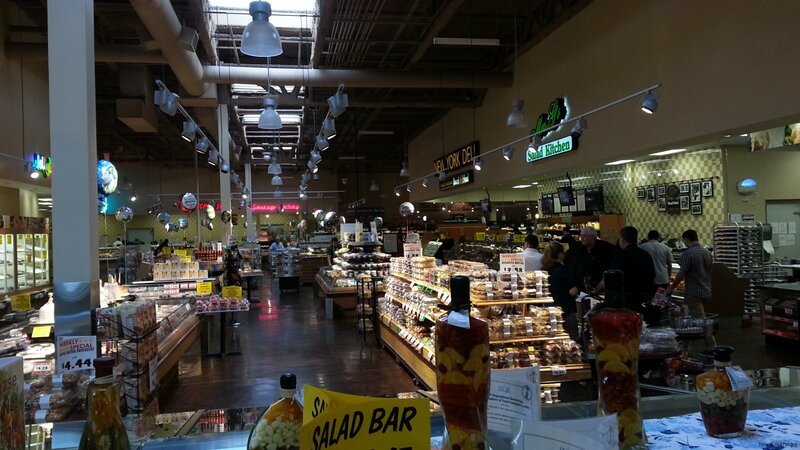 Is Glazier’s Food Marketplace the Best Supermarket In Vegas? PLUS Free Groceries Contest! 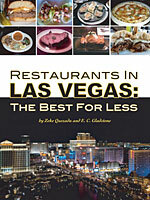 Let me explain: Since moving to Las Vegas, I was increasingly curious about Glazier's, a market in the Southwest that had won a local Best of Las Vegas poll four times running...and yet nobody I knew talked about going there. Eventually, I decided to make a special trip to check it out. Vegas is...blessed, I guess you could say...with an almost excessive selection of supermarkets, including Von's, Albertson's, Smiths, Winco, Fresh & Easy, Trader Joe's, Whole Foods, Wal-Mart, all in ample quanitity as well as a host of other local specialty spots. None that I've seen have quite rivaled the very best markets in the country, but there are some good ones (particularly, no surprise, near the better neighborhoods). Glazier's is located on Durango a few miles either South of I-215 or North of Blue Diamond Road--not that easy to get to, unless you live close by. It's at least 30% larger than the average supermarket, just edging in on warehouse size, but not quite a Costco or Wal-Mart. 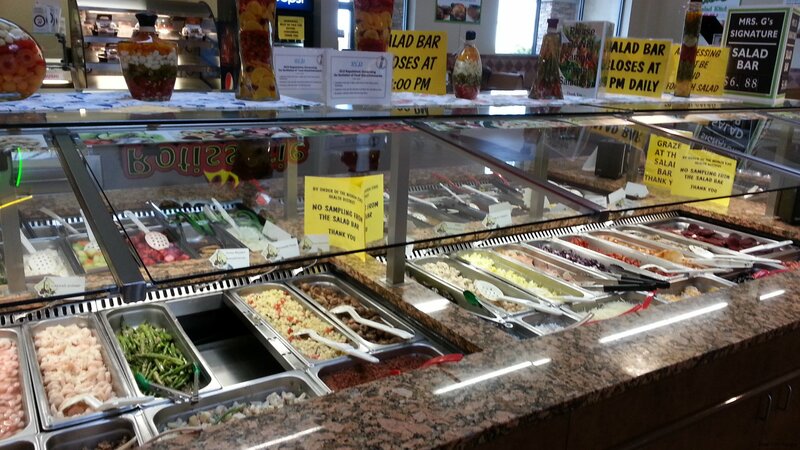 What sets Glazier's apart, first and foremost, is their large service area, with several counters offering gelato, pizzas, hot & cold subs and panini (Boar's Head! 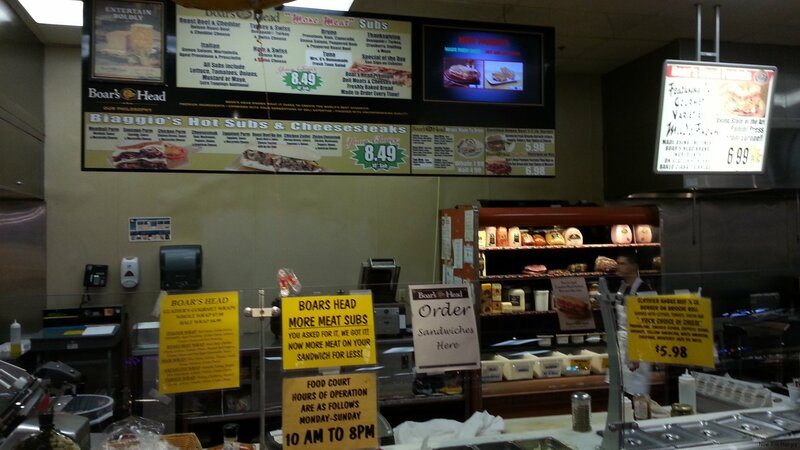 Boar's Head! still can't quite figure out why people feel so passsionate about that brand), a large salad bar, deli counter, bakery, and of course seafood and butcher with a lot of fresh sausages. You might see all of these at most markets, but here there's maybe a bit more attention to detail and variety (that doesn't mean ingredients are necessarily higher end or organic, although I like that the seafood counter identified farmed vs. wild caught sourcing of all the fish). You could easily assemble the makings of a fantastic party in this service area on a moment's notice, no doubt about it. 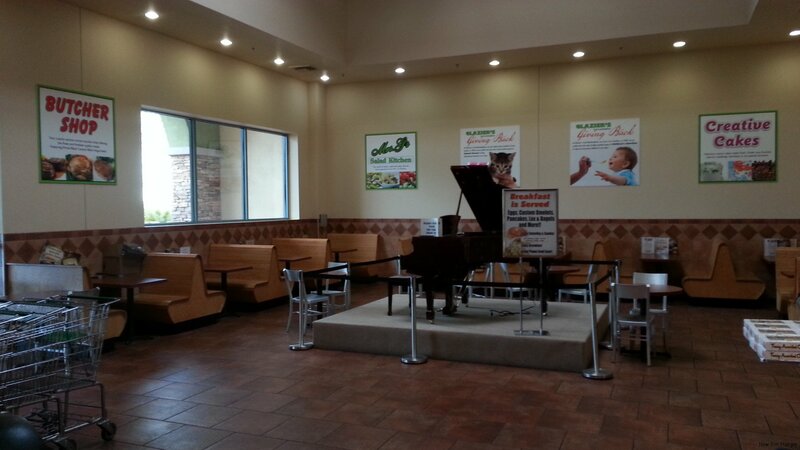 There is also a "piano food court" for dining there, of which I will let the photo say its 1000 words. Beyond the service area, aisles are filled with much of the typical food categories, but very often featuring hard-to-find products from Chicago or the East Coast, appealing to transplants. I'm talking Vienna beef franks, with all the ChiDog fixins, Gabila knishes, Drake's cakes, New York-made bagels, Taylor pork roll, and a lot of specialty pastas. Hawaiian and Latino products are also amply represented. So what about this blog might get me banned from Glazier's? Well, as I was taking the camera pics posted here, an employee ran over to me and told me that photography wasn't allowed in the store. I thought that was kind of strange (I went back and checked too--there was no signage indicating that anywhere I could see) and what was stranger was my then-girlfriend looking at me like I was some evil interloper for trespassing on their sanctity as if we were in a museum. Bizarre. I can't imagine what Glazier's feels they need or can keep confidential by not allowing photography. They are open to the public, after all. 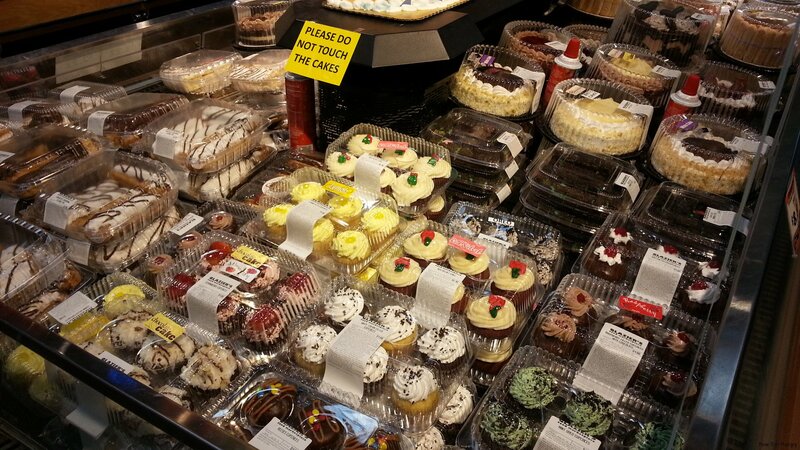 You'll note in the photos that there's a great deal of instructional signage--mostly telling customers what NOT to do ("Please do not touch the cakes" for example...I guess you are supposed to buy them via levitation). 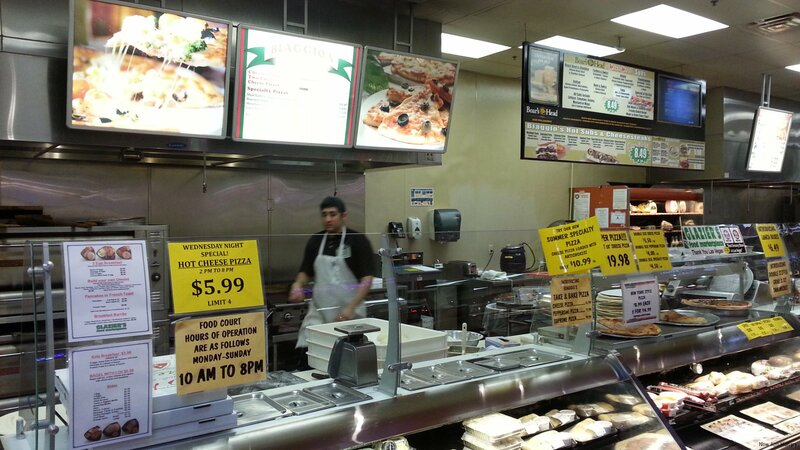 When I see this kind of signage in such quantity I always wonder if it reflects more on the clientele or the management. 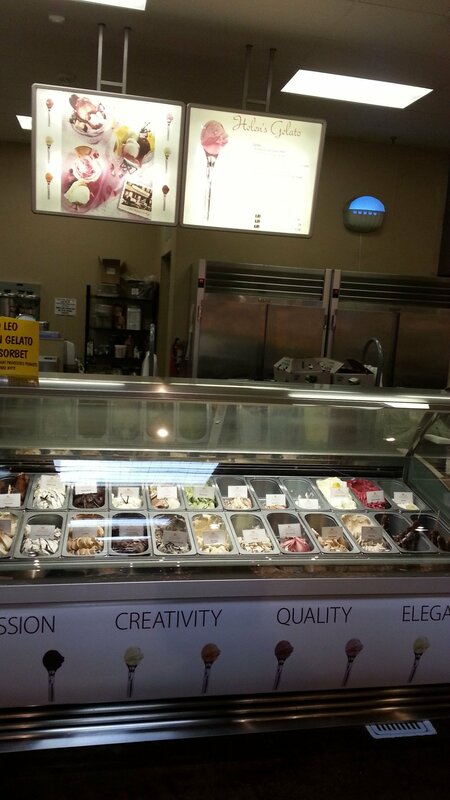 But I personally feel that it sets a tone which is contrary to the concept of "service" and I would be willing to bet isn't worth the amount of spoilage it saves for the loss of customer affection. 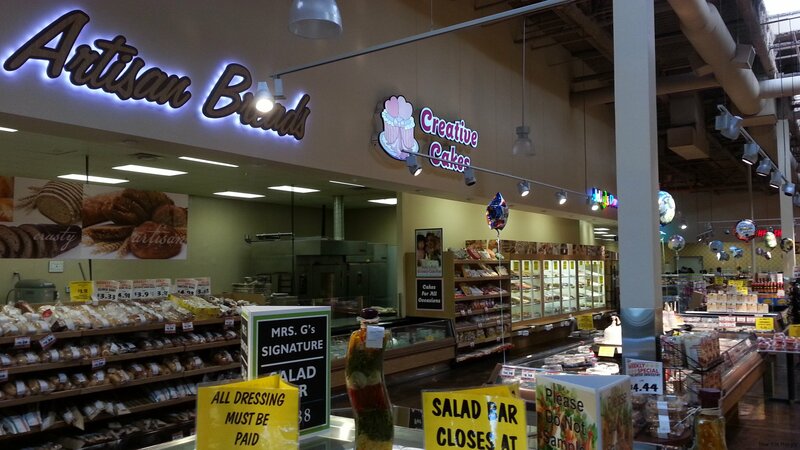 You won't see this kind of signage at a Wegman's for example--you'll just see more attentive employees. 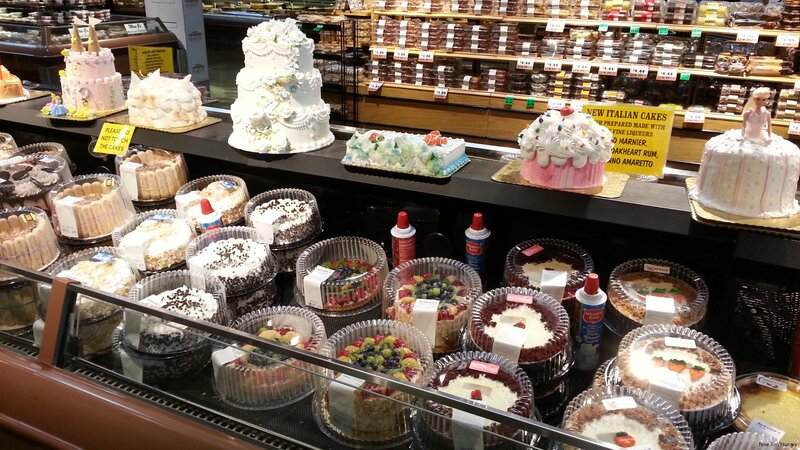 Would I say Glazier's is a must-visit? That depends on your interests. If you are throwing an impromptu party or need a quick dinner for the family, it's a great call. If you have a lot of sentimentality for the Midwest or East Coast, you may be thrilled. If organics are more important to you, maybe not. Pre-Thanksgiving, Glazier's is having a side dish/casserole recipe contest (and a lot of turkey specials, naturally) with the winner taking a $100 Glazier's gift card. 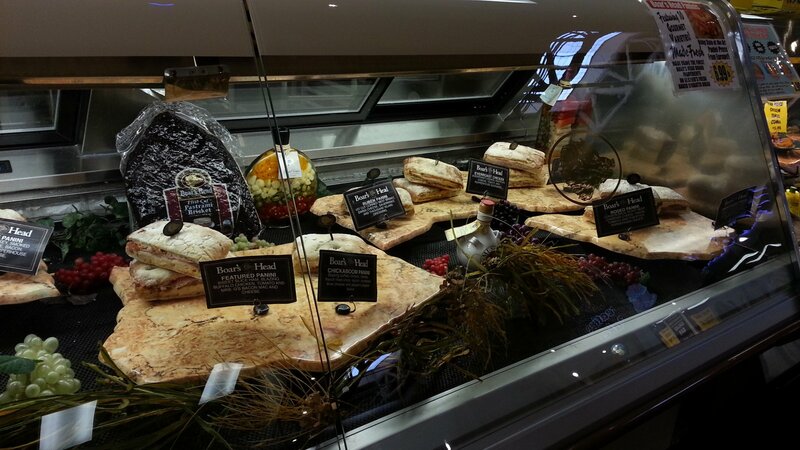 You can submit yours to Recipe@GlaziersFoodMarketplace.com by 11/9/14. 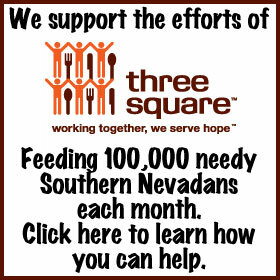 OR enter at KTNV.com/members to win "FREE groceries for a year!"